Collecting money for copies, organising school trips or creating your own, individual to-do lists — TEGO.CLASS checklists help you keep track of everything on your agenda. TEGO.CLASS enables you to easily access all your checklists regarding your daily teacher life digitally and at all times. 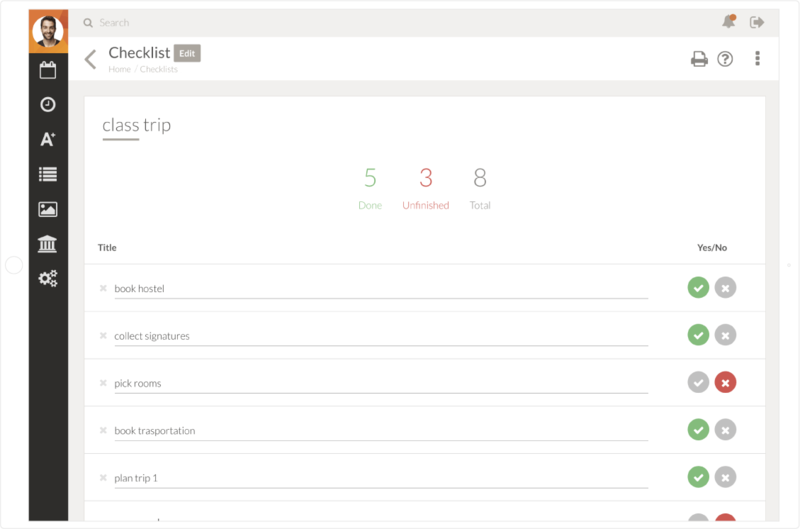 Create individual checklists for every single one of your classes to keep track of things you have to collect, such as money for copies, fees for school trips, or signatures. Once you’ve created a checklist, you can track your progress working towards the goal. 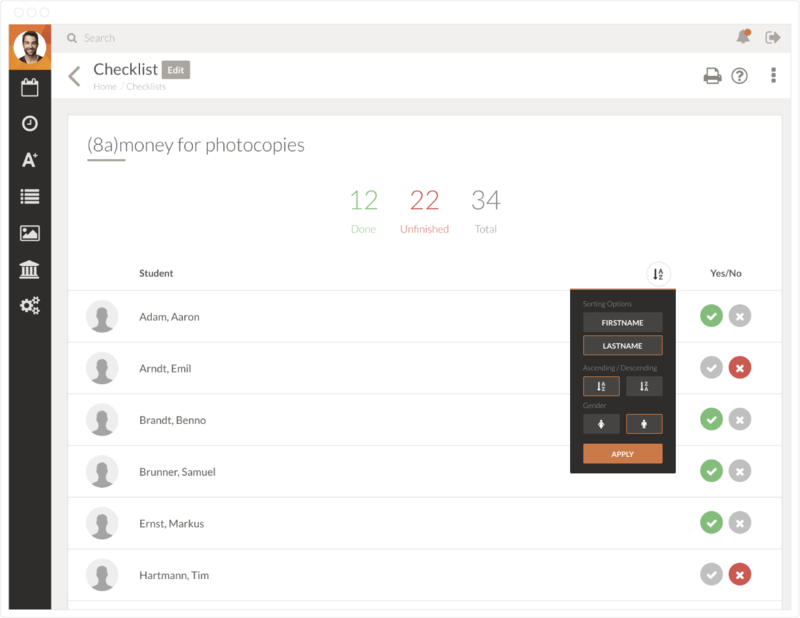 You could make use of checklists not only for your classes, but also for individual students? 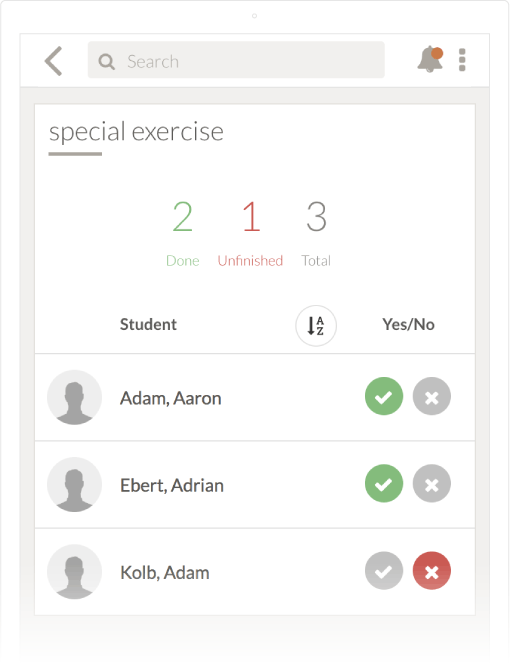 No problem — use TEGO.CLASS to create individual checklists for as many students as you’d like. Keep track of students who are set to catch up on tests, got detention, or students whose parents you’d like to personally invite to parent-teacher conferences. 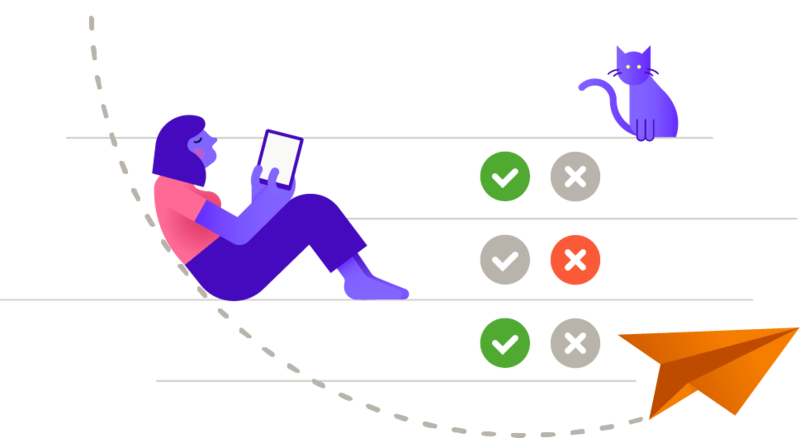 Use TEGO.CLASS to create your very own, individual checklists, such as lists to carefully plan school trips, keep teaching materials in place, or organize parent-teacher conferences. Be perfectly prepared for everything that’s on your agenda and easily keep track of everyday tasks.